1. 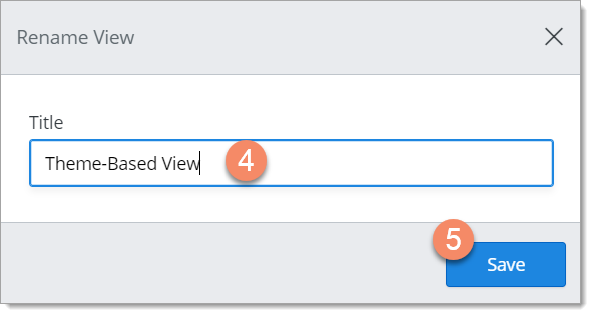 In the View dropdown on the Roadmap navbar, select the view you want to rename. 3. Select Rename View in the dropdown. Who can rename a view? You can rename a roadmap's view if you are the roadmap Owner or the roadmap has been shared with you as an Editor. If you share the roadmap as a Viewer, you can't rename any of its views. What happens when you rename a view? When you rename a roadmap view, all users who share the roadmap (Editors and Viewers) will see the new name. This could cause some confusion, so we recommend that you rename a view only if it's absolutely necessary.